Find your perfect global engineering opportunity. New: Check out U of T’s new Learning Abroad website. Whether you’re a true academic at heart or just looking for a change of scenery while completing your degree, consider taking courses abroad. You’ll have access to more than 100 internationally renowned universities around the world, including 14 engineering-specific institutions. Best of all, courses taken abroad may count toward your U of T degree, and you’ll pay U of T course fees for the classes you take abroad. Funding is available for many of the opportunities listed below. Engineering Exchange Pathways: Earn engineering credits while studying abroad for a term (fall, winter or summer) or a full year. Many departments have pre-approved transfer credit pathways established with partner universities to make the process seamless. Check with your department for details. APS 299Y – Summer Research Abroad: This unique for-credit research-based summer course is now in its second year. Depending on the nature of the research project, this course may count toward your engineering program, or an engineering minor. Check with your department for details. This program is not open to EngSci students. Build Your Own Adventure: Want to study Japanese in Japan or visual arts in France? Take non-engineering courses abroad through the Centre for International Experience (CIE). With more than 100 institutions worldwide to choose from, there’s no shortage of opportunities. Put your lab experience to the test with a summer research position that will open your eyes to engineering research in a different country. The Summer Research Program placed 72 students in top-notch research labs all over the world in 2015-2016, from the National University of Singapore to the University of Queensland. There are also several other discipline-specific research opportunities to explore. All hours worked count toward your practical experience requirement. Undergraduate Summer Research Exchange: Administered through the Centre for International Experience (CIE), this program is a fantastic way to gain engineering research experience abroad at world-class institutions like Darmstadt University of Technology and Chinese University of Hong Kong. Funding to cover basic costs are available for all successful applicants. APS 299Y – Summer Research Abroad: This for-credit research-based summer course is now in its second year. Depending on the nature of the research project, this course may count toward your engineering program, or an engineering minor. Check with your department for details. This program is not open to EngSci students. EngSci Research Opportunities Program: Each year, EngSci students have the opportunity to conduct research abroad at a variety of institutions, including National University of Singapore, Max Planck Institute and Technion – Israel Institute of Technology. Check with the EngSci undergraduate office for details. Nagoya University Summer Intensive Program: This summer study-research opportunity is perfect for upper-year students interested in the automotive industry. Japanese classes included! Look no further than the Professional Experience Year Co-op Program (PEY Co-op). This paid work experience program will give you a serious leg up professionally while working for a company for 12 to 16 months. In 2017-2018, 66 students worked at companies outside of Canada, while earning competitive salaries and building impressive global networks. PEY Co-op employers come from all over the world, so do look out for opportunities in countries of interest. If you’re interested in volunteering abroad, Engineers Without Borders offers a four-month Junior Fellowship Program. Program deadlines and applications can be found online. Learning Abroad: Planning your budget. An exchange of ideas: U of T Engineering students share their tips on international exchanges. 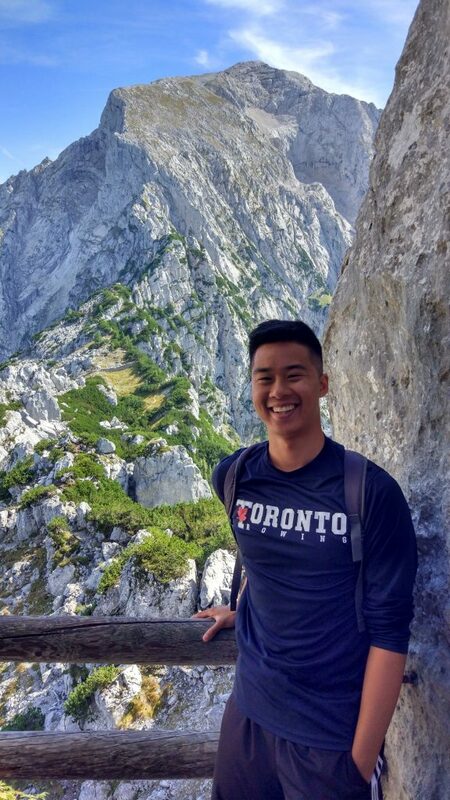 Engineering goes global: Undergrad Gabriel Patron reflects on research exchange with National University of Singapore (NUS). 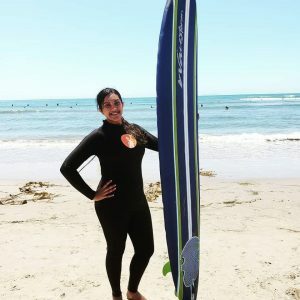 Surf’s up: Engineering Science student Netra Unni Rajesh shares her summer exchange experience in California. U of T Engineering undergrad Bethany Kon shares her exchange experience at TU Darmstadt in Germany.